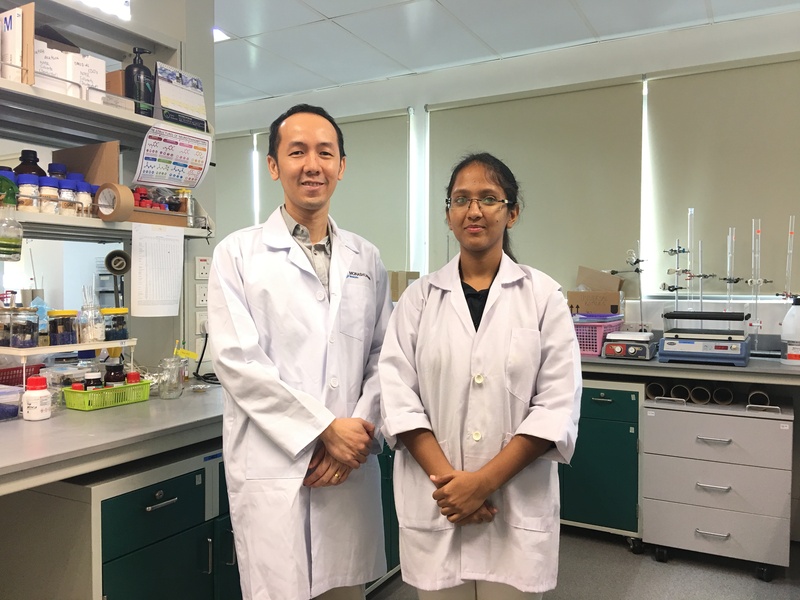 Geeta Goyal joined Dr. Yeong Keng Yoon's (Dr. Ken) lab as an intern from Indian Institute of Science Education and Research Kolkata (IISERK). Geeta is an INSPIRE fellow, a program sponsored by the Department of Science and Technology, Government of India to promote research excellence among a talented pool of students. Geeta is currently working on synthesizing novel organic compounds targeting Alzheimer Disease-related enzymes and proteins, which is one of the research focus in Dr. Ken’s lab. Apart from giving exposure to external students to take part in exciting projects, Dr. Ken believes that hosting them will also benefit students from Monash Malaysia as they could learn from one another. This can also promote further collaborations between the two institutions. Geeta is attached to Dr. Ken's lab until end of July. Authorised by: Marketing and Future Students. Maintained by: Monash University Malaysia Webmaster Team. Last updated: 31 Jul 2018.